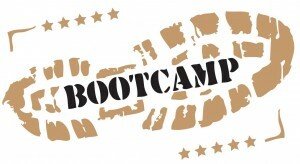 Get in shape “boot camp” style! Experience high-intensity, full-body workouts that target the major muscle groups of the upper & lower body, specifically designed to “make it rain” sweat! From circuit-style routines that jump-start cardio fitness, to creative muscle-toning exercises using dumbbells, exercise bands, or even the participant’s body weight, each class brings its own unique challenges. No two classes are the same!